(<a href=”http://CNSNews.com” rel=”nofollow”>CNSNews.com</a>) – In his criticism of Germany’s energy ties with Russia in Brussels on Wednesday, President Trump touched on a sensitive issue in Germany – the conduct of a former chancellor whose close ties with President Vladimir Putin, key involvement in lucrative energy deals, and support for Russian policies have long stoked controversy. Chancellor Angela Merkel’s immediate predecessor, Gerhard Schroeder of the Social Democratic Party (SPD), led Germany from 1998 to 2005. While in office, he championed and helped push ahead the politically-sensitive Nord Stream project – a pipeline along the Baltic Sea bed to supply natural gas from Russia directly to Germany, bypassing the existing pipeline running through Ukraine. The project raised concerns in Eastern Europe – and in the United States – because Russia has a history of using its ample energy resources as a political tool. The new route would make it even easier to do so, by cutting off gas to troublesome countries like Ukraine and Poland, while continuing to sell to big customers further west. Just weeks after stepping down after losing an election in the fall of 2005, Schroeder became chairman of the shareholders’ committee of Nord Stream AG, a consortium led by the Russian state-owned Gazprom, building the pipeline. Nord Stream has been on line since 2011, and now a further pipeline, Nord Stream 2, is in the works. Schroeder continues to chair the Nord Stream AG shareholders’ committee, and last year he was additionally nominated as a director on the board of Rosneft, Russia’s state-owned oil company and largest oil producer – and a company under U.S. and E.U. sanctions as a result of Putin’s intervention in Crimea. Over the years Schroeder has raised eyebrows and caused some embarrassment in his home country by taking stances favorable to his friend Putin – who in 2004 he infamously called a “flawless democrat” – and generally at odds with Europe and the West. “When it comes to energy policy, only dreamers can pursue the idea that western Europe could become independent of Russian oil and natural gas,” he said in a 2008 interview in which he also dismissed the notion that Russia poses a threat to the West. Schroeder criticized European recognition of Kosovo after it declared independence from Russian ally Serbia in 2008, and defended Putin’s more recent actions in Ukraine, calling for an end to sanctions against Moscow. 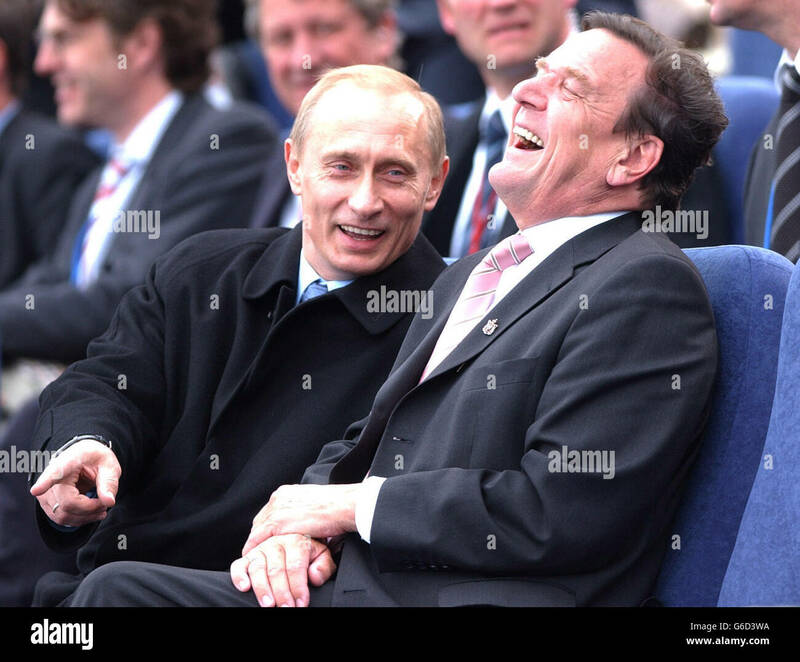 Four years ago, just weeks after Russia annexed Crimea after a referendum not recognized by most of the international community, Schroeder celebrated his 70th birthday with Putin at a party in St. Petersburg. 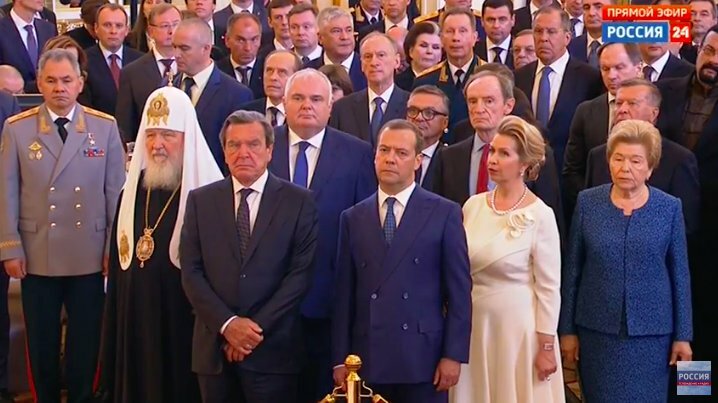 After Putin’s re-election earlier this year, Russian television coverage showed Schroeder in the front row at the inauguration ceremony, alongside Prime Minister Dmitry Medvedev and the patriarch of the Russian Orthodox Church. Despite the embarrassment he has caused to Germany over the years, Schroeder early this week represented Germany’s federal government at the swearing-in ceremony for the re-elected Turkish President Recep Tayyip Erdogan, according to the foreign office in Berlin. And more recently, he’s accused Manafort of trying to get those who knew about the Hapsburg Group to mislead investigators about its mission. Asked if the money Mr. Gusenbauer received came from Mr. Manafort, Mr. Prodi seemed skeptical but said that he didn’t know. “Go ask Gusenbauer,” he said, adding that he thought that it was more likely that the money came from European businessmen interested in keeping Europe and Ukraine close. In an interview on Saturday, Mr. Cox said he had worked with Mr. Kwasniewski, Mr. Schulz and others to try to convince Mr. Yanukovych to release the jailed political opponents. 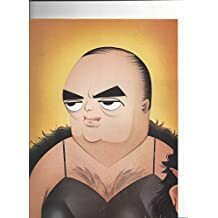 Mr. Cox said that he had never heard of the Hapsburg Group, had never been paid by anyone for his efforts in Ukraine, and had had no dealings with Mr. Manafort. But in 2012, he said, he had been invited by Mr. Schultz to go to Ukraine with Mr. Kwasniewski, the first of some 25 trips, all done “pro bono,” Mr. Cox said, to try to get the detainees released. “The view in Western capitals was that these were the victims of selective justice,” Mr. Cox said. After meetings with Mr. Yanukovych and prosecutors, Mr. Cox and Mr. Kwasniewski were successful in obtaining the release of Mr. Ivashchenko and Mr. Lutsenko, who is now Ukraine’s prosecutor-general. “We were not successful with Yulia Tymoshenko,” who was Mr. Yanukovych’s prime political opponent at the time, Mr. Cox said. “But we did ensure that Charité hospital in Berlin would have access to her in prison and she not be subject to further trials,” he added. mikenova shared this story from konstantin kilimnik – Google News. … filed new charges against Paul Manafort – the former head of the electoral headquarters of the trump, and its Russian business partner Konstantin Kilimnik. … two indictments on that charge (targeting former Trump campaign chairman Paul Manafort and Manafort’s longtime aide Konstantin Kilimnik). An associate of Paul Manafort in 2012 proposed recruiting former politicians from Belgium, Germany and Spain for a covert lobbying effort on behalf of the Ukrainian government, according to court documents briefly made public Wednesday by special counsel Robert Mueller’s team. The documents give new insight into the planning for and goals of a campaign Manafort orchestrated to boost the image of then-Ukrainian President Viktor Yanukovych and his political party. The lobbying effort has subsequently become part of Mueller’s legal case against President Donald Trump’s former campaign chief, who faces charges of money laundering, failing to disclose his foreign lobbying work in the U.S. and obstruction of justice, among others. The documents, some of which had previously been released with heavy redactions, appear to have been released in full by mistake. 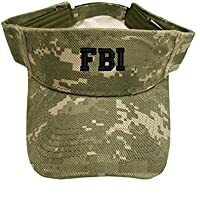 They were available online for a short time Wednesday afternoon, before they were replaced in a public court database by edited versions in which the names of many of those involved were removed. Friedman’s memo, addressed to Manafort, outlines a plan “to assemble a small chorus of high-level European third-party endorsers and politically credible friends” to burnish Ukraine’s image ahead of the country’s election in the fall of 2012. 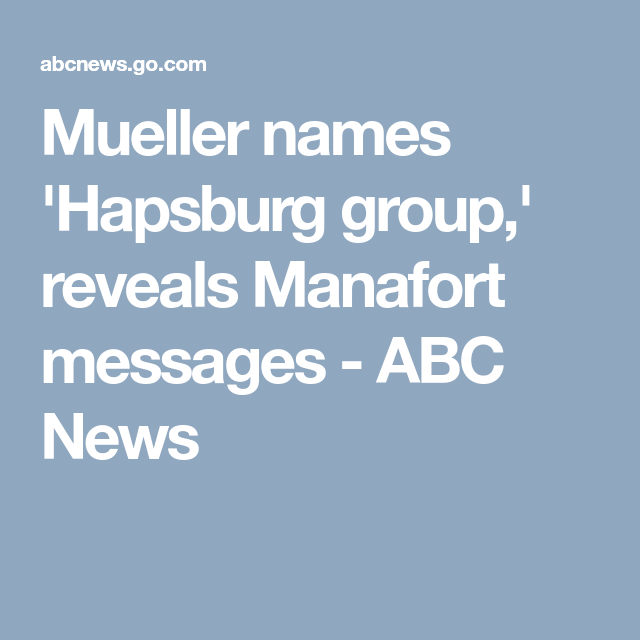 The group — later dubbed the “Hapsburg group” — went on to lobby members of Congress and congressional staffers in the U.S. as part of a campaign orchestrated by Manafort and his deputy, Rick Gates, according to prosecutors. Manafort has said the group’s work focused on Europe, but Mueller has made public documents that he says show they also lobbied in the U.S. A spokesman for Manafort declined to comment on the new disclosures Wednesday. The names included: Romano Prodi, a former prime minister of Italy Adolfo Urso, a former Italian trade minister; Jean-Paul Moerman, a Belgian judge; Bodo Hombach, a former German government minister and “influential publishing boss”; Javier Solana, a former NATO secretary-general from Spain and “respected man for all seasons in Europe”; Alain Minc, an old adviser to former French President Nicolas Sarkozy; Alain Juppé, a former prime minister of France; and Aleksander Kwasniewski, a former president of Poland. “Although his appointment as European Parliament official to monitor the [former Ukraine Prime Minister Yulia Tymoshenko] trial would prevent Aleksander Kwasniewski from any formal activity, Chancellor Gusenbauer will meet him June 29th and probe with him the idea of him joining a more formal Advisory Panel in 2013, and in the meantime whether he might feel comfortable with some conference appearances and/or join op-ed with Chancellor Gusenbauer in the next few months,” Friedman wrote. All of those names, including Gusenbauer’s, were redacted in documents previously released by the special counsel. It’s not clear how many of the potential recruits identified by Friedman went on to become part of the Hapsburg group. Lobbying disclosures filed by two Washington firms retained as part of Manafort’s campaign show that Gusenbauer, Prodi and Kwasniewski came to the U.S. as part of the effort. “Alfred Gusenbauer is willing to be discreet,” Friedman wrote. Prodi told The New York Times in February that Gusenbauer had paid him to work on bringing Ukraine closer to the European Union. But he said the money came as part of the “normal private relations I had with him” and didn’t come from Manafort, to the best of his knowledge. The second unredacted document released on Wednesday confirmed that Manafort had reached out to Friedman in February through WhatsApp. Konstantin Kilimnik, a longtime Manafort associate, sent messages to Friedman and a partner, Eckart Sager, in February and again in April. Friedman and Sager turned those messages over to Mueller, according to the document. Mueller’s prosecutors have charged that the messages constituted an effort to obstruct justice by tampering with potential witness testimony. ALEXANDRIA, Va. — A federal judge on Monday delayed the financial crimes trial of Paul Manafort for six days to allow Mr. Manafort’s lawyers more time to review a trove of documents that they said could be crucial to his defense. The decision by the judge, T. S. Ellis III of the United States District Court in Alexandria, pushed the start of the trial back to next Tuesday. It is the first of two faced by Mr. Manafort, the veteran Republican lobbyist and former campaign chairman for President Trump. Mr. Manafort has been charged with money laundering and tax evasion in a case that arose from the investigation by the special counsel, Robert S. Mueller III, into efforts by Russia to influence the 2016 presidential election. Prosecutors have said they do not intend to raise the issue of collusion with Russia during the trial, and Judge Ellis warned lawyers on Monday not to stray into areas that could prejudice the jurors. He advised the defense not to attack the prosecutors’ motives, despite the fact that Judge Ellis has previously said in court that he believes Mr. Mueller is pursuing a case against Mr. Manafort as a way of pressuring him to help build a case against Mr. Trump. “Even though I have said what I think the motive was, that doesn’t mean that it is admissible at trial,” the judge said. He also warned the lawyers to steer clear of the political sympathies of jurors, saying prospective members of the panel will not be queried about whether they voted for Mr. Trump. Judge Ellis granted the six-day delay after Mr. Manafort’s lawyers told him that prosecutors had turned over to them tens of thousands of documents three weeks ago from Mr. Manafort’s accountants and his business partner, Rick Gates. Mr. Manafort, whose bail was revoked in a related trial, was in the courtroom for the proceedings on Monday, wearing a dark green jail jumpsuit. Mr. Manafort, who worked for Mr. Trump’s presidential campaign for about five months in 2016 — including three months as his campaign chairman — is accused of failing to pay taxes on $30 million in income from Ukraine, where he had been hired to bolster a pro-Russia leader. He is also charged with laundering those funds through real estate and other means and engaging in bank fraud once the spigot of money dried up in 2014. Judge Ellis warned the prosecutors away from mentioning Russia, citing “the amount of publicity and the antipathy toward Russians.” Greg D. Andres, the lead prosecutor, assured the judge that no government witness was expected to refer to Russia on the stand. Mr. Andres pushed for — and appeared to at least preliminarily receive — permission to present evidence of who in Ukraine paid Mr. Manafort, including Ukrainian oligarchs who he said funneled payments to Mr. Manafort through an account in Cyprus that they controlled. Mr. Andres said the prosecution intended to show Mr. Manafort’s “constant interaction” with the oligarchs and with Viktor F. Yanukovych, his principal benefactor. Mr. Yanukovych, an ally of President Vladimir V. Putin of Russia, was elected Ukraine’s president in 2010 but fled to Russia in 2014 after a popular uprising. Both Mr. Manafort and Mr. Gates worked for years to bolster Mr. Yanukovych and the pro-Russia parties in Ukraine. Mr. Gates, who served as Mr. Trump’s deputy campaign chairman, has pleaded guilty to related charges and is expected to testify against Mr. Manafort. Mr. Andres also said that he planned to bring up Mr. Manafort’s work for the Trump campaign, albeit in a limited context. One bank chairman approved a loan to Mr. Manafort, he said, knowing that documents he had provided were false, because he was promised and eventually given a position on the Trump campaign. The same bank official hoped for but failed to get a job in the Trump administration, he said. The judge also unveiled the identities of five witnesses whom he has ordered to testify under limited grants of immunity sought by the prosecution. mikenova shared this story from National Review. Making the click-through worthwhile: Why those concerned about Russia should be paying a lot more attention to former German chancellor Gerhard Schroeder; the Eastern European NATO members’ baffling and self-destructive decision to skimp on defense spending; why Judge Kavanaugh’s clerks loved him; and the United States approaches a new threshold of energy power. Why Is Germany’s Former Chancellor Now Putin’s Chief Lobbyist in Europe? As usual, Trump is down the street and around the corner from a legitimate point. Well, perhaps he’s a bit closer this time. 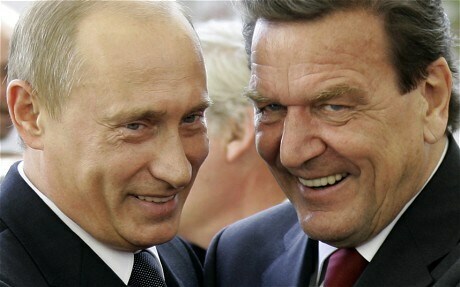 If you think Trump’s past business connections to Russian figures are troubling, you probably ought to be livid about how former German chancellor Gerhard Schroeder’s has decided to become the chief lobbyist for Vladimir Putin in Europe. One of Schroeder’s last acts in office in 2005 was authorizing “Nord Stream,” a pipeline bypassing key territories and controlled by Russia’s Gazprom energy company. Shortly after leaving office, Vladimir Putin arranged for Schroeder to chair the project, and then he started pushing for a second pipeline, Nord Stream 2. Instead of diversifying Europe’s energy supply, Schroeder’s pushed policies that make the continent more dependent upon Russia, not less. In September 2017, Putin arranged for Schroeder to become chairman of Rosneft, the state-owned Russian oil giant. Germany’s allies and its European Union partners, including the quietly frantic Poles and Balts, can’t quite refer to Mr. Schroeder as a Putin agent nestled in the heart of Germany’s political and business elite. His name doesn’t appear on any U.S. government list. Section 241 of last summer’s sanctions law required the U.S. Treasury to identify the ‘most significant senior foreign political figures and oligarchs’ behind the Putin regime. These descriptors would seem to apply to Mr. Schroeder but it remains diplomatically impermissible to say so. Lately, Schroeder has been hanging out with Putin at the World Cup. How is it, in an era when U.S. politics is suddenly deeply concerned — some would say paranoid — about Russian influence, that Schroeder’s cheerful embrace of lobbying for Russia has barely made a ripple on this side of the pond? The cynical answer is that most of those screaming the loudest about Russia today don’t think of Putin as sinister because of his lack of criticism of Trump; they think of Trump as sinister because of his lack of criticism of Putin. Indeed, Russia shot down a passenger airliner over Ukraine in 2014, and it was out of the news within a week. But their cynicism doesn’t change the fact that Russia is generally hostile to American policies under presidents of either party, and Vladimir Putin would love to see the NATO alliance collapse. Their military actions in Georgia and Crimea demonstrate that when the Russians think they can get away with naked aggression, they’ll try it. In that light, the reluctance of some NATO members to honor their agreements and spend the required 2 percent of GDP on military spending is baffling. In 2017, just four member states hit that 2 percent threshold — the United States (3.57 percent), Greece (2.36 percent), the United Kingdom (2.12 percent), and Estonia (2.08 percent), and we’ll give Poland the benefit of the doubt because it hit 1.99 percent. Tiny Luxembourg ranked last, spending less than one-half of 1 percent on their military. Perhaps Luxembourg’s leaders figure that because they’re nestled between France, Germany, and Belgium, they can count on their neighbors to slow down any invading Russians. But the NATO members in Eastern Europe have no excuse. Look, Hungary, you’re just beyond Ukraine. If the Russian army rolls through the breadbasket of Europe, they might want some goulash to go with it, and in 2017, you spent just 1.06 percent of your GDP on your military. Dear friends in the Czech Republic, you’re just past Poland, and you’re at 1.05 percent. Maybe Slovenia is spending less than 1 percent of GDP on defense because they’re certain Melania Trump would never allow the nation of her birth to be invaded. Guys, you’re the ones facing the biggest risk. If Russia’s military starts acting out its expansionist fantasies, we’re not going to see them begin with Russian ships advancing up the Potomac River. What’s really baffling is that these countries are reluctant to finance a military buildup with an American president who talks about the NATO alliance as if it’s a giant scam and who talks about European nations as if they’re delinquent on the rent. If there was ever a time for these countries to start spending on their own defense, this is it. Lithuania figured out the score. They share a border with Russia and just got it up to 2 percent. NATO thinks that eight member countries will meet the 2 percent threshold in 2018, which is an improvement — but there are 29 members! The Norwegian drama series Occupied offers the painfully funny lesson that if the United States ever decides that the NATO alliance isn’t worth it, it more or less ceases to exist. Sure, Trump has a crude, ahistorical perspective on the value of the alliance, but less than half of NATO member states are putting much effort into dispelling the notion that they’re a bunch of freeloaders who won’t take responsibility for the safety and security of their own citizens. 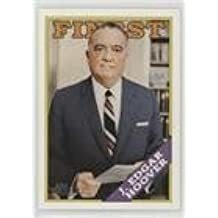 During his time on the D.C. Circuit, Judge Kavanaugh has come to work every day dedicated to engaging in the hard work of judging. We never once saw him take a shortcut, treat a case as unimportant, or search for an easy answer. Instead, in each case, large or small, he masters every detail and rereads every precedent. He listens carefully to the views of his colleagues and clerks, even – indeed, especially – when they differ from his own. 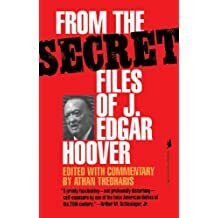 He drafts opinions painstakingly, writing and rewriting until he is satisfied each opinion is clear and well-reasoned, and can be understood not only by lawyers but by the parties and the public. We saw time and again that this work ethic flows from a fundamental humility. Judge Kavanaugh never assumes he knows the answers in advance and never takes for granted that his view of the law will prevail. Perhaps unsurprisingly, then, Judge Kavanaugh has been a role model to us personally as well as professionally. He is unfailingly warm and gracious with his colleagues no matter how strongly they disagree about a case, and he is well-liked and respected by judges and lawyers across the ideological spectrum as a result. It’s rather fascinating to watch lefty voices complain about news coverage of Kavanaugh being too focused on him as “a carpool dad” and focused on humanizing personality traits . . . when there’s an entire line of merchandise about “the notorious RBG” and gobs of glowing coverage of tough grandma Ruth Bader Ginsburg in places such as Glamour magazine, and she’s been invited to do her workout routine on Stephen Colbert’s comedy show. Oh, I’m sorry, I didn’t realize we were only allowed to have lighter, humanizing, personality-based coverage of Supreme Court justices appointed by Democrats. Remember when we were worried that America’s future would be one of crippling weakness and dependence on foreign oil? Yeah, never mind. We’ve been producing more than 10 million barrels a day in 2018. ADDENDA: Our Charlie Cooke lays out why the press earns its distrust. Elsewhere, I point out a frustrating, deeply misleading headline that suggests that some copy editors at major newspapers simply don’t know much about the places that their outlets are covering. Next Next post: 7:11 AM 7/26/2018 – Q.: Why is Mueller handing off key cases? 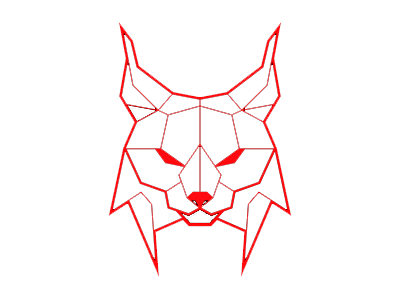 A.: M.N. : Because he is out for the Big Fish (and not only or necessarily Mr. Trump) and he concentrates on the main goal. 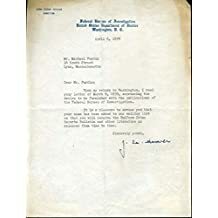 My only wish is that his investigation would go into as much depth as it is possible, including of course the “German Connections” and “German Hypothesis”.